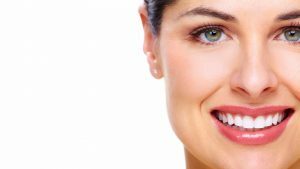 Besides using your own plasma to restore your smile, you can also use your plasma to restore your skin. According to MEDTube Science, “The use of platelet-rich plasma, which is concentrated blood plasma enriched with platelets, is a relatively young but dynamically developing technique used in many fields of medicine.” (1). For example, it has been used in dentistry, known as L-PRF to help establish osseointegration with dental implants. Now, it is also being used in aesthetic medicine for skin rejuvenation. Skin-aging becomes more apparent as we enter our 30s. The biological processes that kept us looking young begin to decrease and slow down. Many internal as well as external factors affect our aging like melanin production, genetics, environmental factors, and UVA radiation (2). While putting sunscreen on and eating foods high with antioxidants can help, nothing can protect against certain biological activities that may happen. The new and innovative use of plasma has become revolutionary in maintaining young healthy skin. The use of plasma can reduce furrow and wrinkles which improves skin structure, tone and dentistry (3). Being that is it your own plasma, it is not going to be rejected by your body. It will actually easily and naturally assimilate. Research suggests that for getting the best results with plasma its best to do it for one year every 4-6 months and maintain yearly procedures (4). The procedure of using plasma is simple and relatively painless. The certified doctor will withdraw your blood and use a centrifuge to obtain the plasma. The plasma will be administered using a needle. It is not that different from typical options like botox. However, the plasma is yours so its natural, its safer, and its versatile. It can be used to rejuvenate skin, heal scarring, stretch marks, and for many other restorative procedures. DDSMiami Dental clinic is here to fix any dental health concern you might have. Our diverse team of professionals and our customer service oriented approach will make you feel comfortable while sitting on a dentist’s chair! © Copyright 2017. All Rights Reserved by Dental Design Specialists.